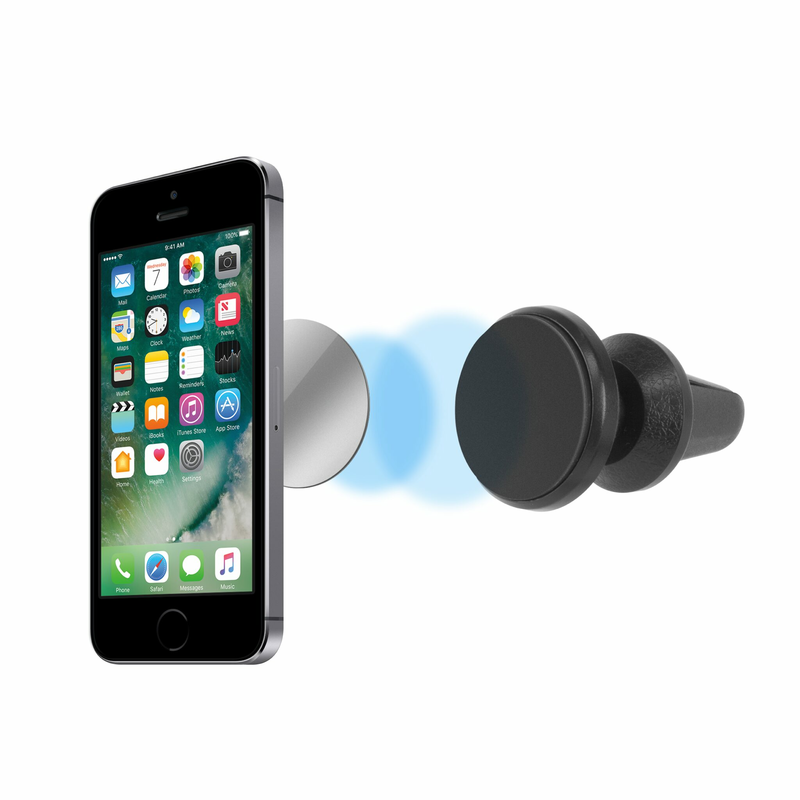 The AT&T universal car air vent magnetic phone mount holder helps you place your smartphone using the strong magnetic technology, which means your smartphone will be secure and have no chance of falling. It makes it easier to use for GPS navigation too. This phone magnetic car mount holder for cell phones is not bulky or space consuming at all. This magnetic car mount inserts into the air vent, thereby not blocking your windshield. Insert the mount in an air vent in your car. Stick the metal plate in between your case and the phone or stick the metal plate on the back of your phone or GPS.